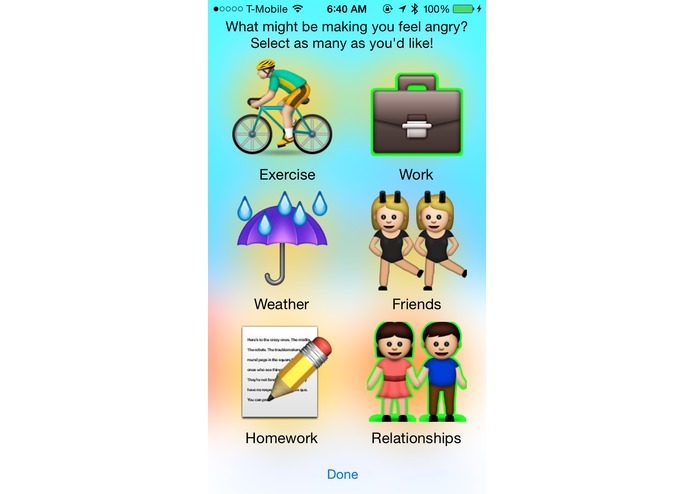 An intelligent app to revolutionize your emotional and physical well-being. Emoteful is the start of truly understanding yourself from a physical and emotional standpoint. You start by logging in with your Jawbone account and creating an Emoteful account. Then, you are taken to your home screen where you are presented with an emotional dashboard. This dashboard features four main areas: the Emoteful score, the Emotes tab, the Activity tab, and the Sleep tab. 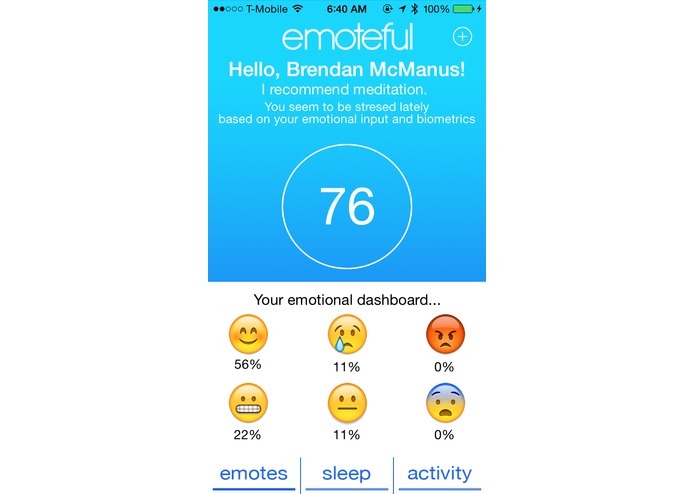 The Emoteful score is a proprietary score generated for the user based off of recorded emotions, sleep data, and activity data. From this score and other data collected, you are presented with insights on how to improve your emotional well-being. The Emotes tab shows you the percentage of emotions you have been experiencing recently. 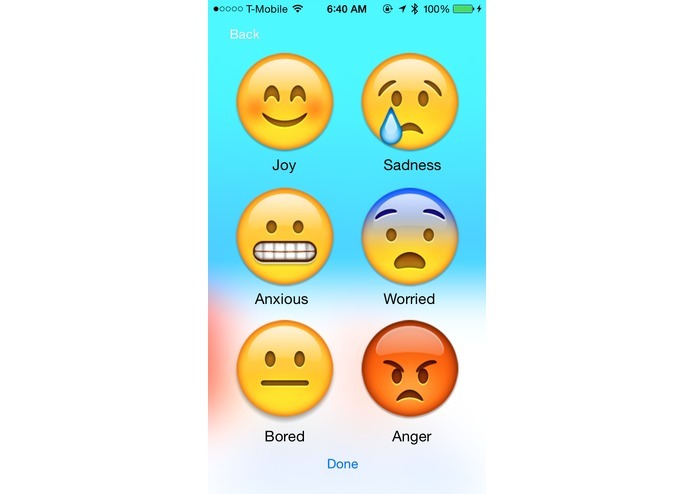 These six emotions were chosen with the help of students studying behavioral psychology, and allow users to choose from the most applicable emotions. The Activity and Sleep tabs pull in data from Jawbone UP (for now –– other wearables could be included later) so that Emoteful can be the one-stop-app for all body-related data. Several times a day (but not too many! 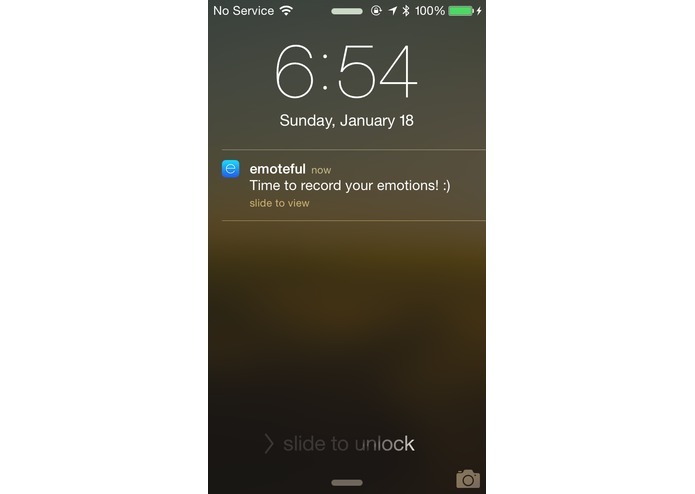 ), users will receive push notifications to record their emotions in the app so that user interaction is sustained over time. The goal long-term is for the app to learn more as it is used over time, but this would take much longer to implement than the span of a 36-hour hackathon. I gained a deeper understanding of iOS Development and an appreciation for the beauty of Parse. Given more time and a larger team, we would love to be able to integrate more factors to help really determine what makes people tick. I also wanted to include (but could not develop out fully) integration with location services (to determine what locations people were feeling different emotions), Nest API (to set temperature based on user emotions), and events data from your calendar to try and discover what events might be influencing different emotions. The location data could be particularly interesting to see where different emotions are being felt. User data would remain anonymous and confidential, of course.